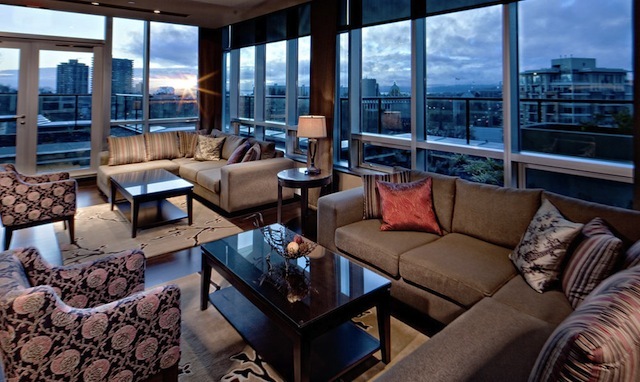 Situated in vibrant downtown Victoria, British Columbia, near the capital’s most popular attractions, Parkside Victoria Resort & Spa features stunning city views, inspirational interiors and luxurious decor. The resort seamlessly combines environmental responsibility and exquisite taste through sustainable design, and is considered Canada’s greenest resort hotel. The property was built to LEED (Leadership in Energy and Environmental Design) platinum standards, and was also awarded a 5 Green Key rating with the Green Key Global Eco-Rating Program. Parkside Victoria Resort & Spa features 126 rooms in two towers, which are joined by a three-storey green roof glass atrium filled with gorgeous exotic plants from Victoria’s former tropical wonderful, Crystal Garden. The rooftop gardens help to insulate the building against cold in winter and against heat in summer. And keeping with its environmental initiatives, the resort contains two levels of heated underground parking complete with power stations to accommodate electric vehicles. This all-suite hotel offers modern and inviting rooms with stylish accents. We stayed in a Luxury One Bedroom Suite complete with Egyptian cotton luxury linens and pocket coil king size mattress. It included two contemporary bathrooms accented by heated tile floors, soaker bathtub and shower. The full gourmet kitchen possessed beautiful granite counters and stainless steel appliances. 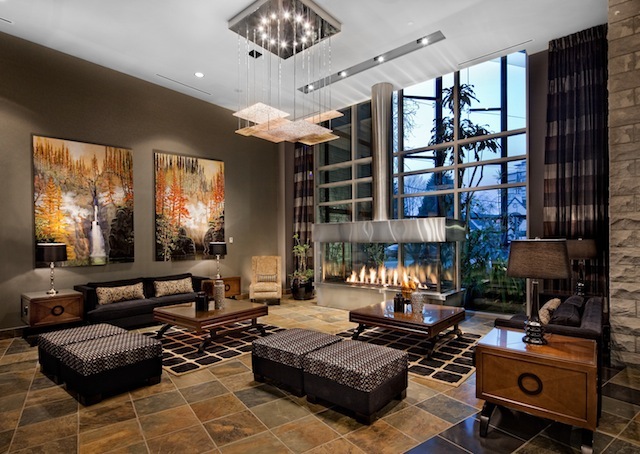 Two electric fireplaces, one in the living room and the other in the bedroom, set the mood for a relaxing visit. Complimentary high-speed wireless internet was a welcomed feature in our room, as was the high efficiency washing machine & dryer combination – perfect for longer-term stays. Our private covered patio with an outdoor table & seating was the perfect space to enjoy lunch with a view. World-class comforts and amenities can be found at Parkside: Take a dip in the 25-metre ozonated indoor pool and hot tub, then work out in the state-of-the-art fitness centre featuring Star Trac strength training & cardio equipment. If you feel like pampering yourself, then the resort’s full-service spa AquaTerre is a sanctuary of rejuvenation and relaxation. Located on the penthouse floor of Parkside’s Rockland tower, overlooking the Provincial Legislative buildings and St. Ann’s Academy, you’ll find the chic and expansive Penthouse City Club Lounge. This exclusive members-only club allows the opportunity to experience Parkside Resort’s most luxurious amenities and services. Every night on the resort’s Mezzanine level you can catch a flick in Parkside’s private 29-seat high definition movie theatre. Plush oversized chairs and a 132-inch screen with surround sound make this a very comfortable spot indeed! Many thanks to Sanem Ozkan and the Parkside Victoria Resort & Spa team for our wonderful stay!